This morning I woke up to an alert for my iPhone to be upgraded to the "newer version". I spent some time last evening trying to upgrade my browser on my Mac, to which is tells me, "You need to upgrade your OS X." I tried utilizing Chrome for the longest time and now it will no longer run plugins and play videos - which is a major thing in the line of work I'm in because I have to upload videos that I edit for clients onto another server, so it should at least function somewhat. I went to Safari to only have it freeze up and quit on me, all. the. time. Every single thing in my life needs to be upgraded - and it's demanding the change or else nothing will work. Nothing. Upgrades such as the rotary to the touchtone was fun. Cord telephones to cordless was fun. Landline telephones to cellular was fun. 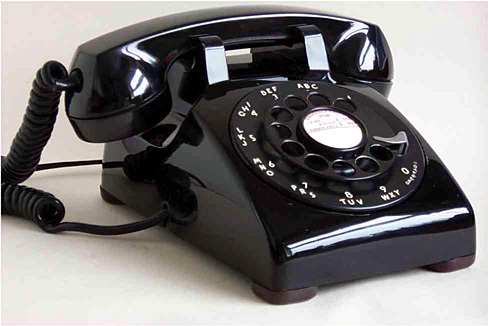 Landline telephone, cable TV and internet are now all "online". ...Not fun. Why? Because if your power goes out, so does your landline telephone - granted you have one that still plugs into a wall without electric needed. My mother is probably the only one in this country that can call out when there's a power outage. I'll never forgot when I downloaded all the emergency weather and news apps before Hurricane Sandy punched us in the throat. I was so excited because I had everything I needed. I could watch the news on my smart phone. Oh how wrong I was. I couldn't even get a goddamn connection no less even send a text out without it failing somehow. My 3G network was gone with the wind. I never realized that most of my connection at home on my iPhone was through my wireless network. We relied on a good ol' AM/FM radio. How retro, and how...convenient? I invested in a Macbook back in 2010 because everyone raved about how you never have to buy another computer after a couple of years, as opposed to the PC, and how it never gets viruses, which results in zero $$ in investing in antivirus software. I did save money, but now, it looks like I either have to upgrade the entire system or just go with the Macbook Pro. Ever since technology has advanced, everything seems to be super inconvenient in various ways. So if you have any suggestions about what browsers I should use temporarily to support the OS X and tips on how to keep connected when the power goes out, I'd appreciate it. 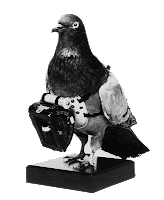 Right now, rotary telephones & pigeon courier seems like a much better option these days. Then again, maybe I'll just ask my 10 year old niece for help.